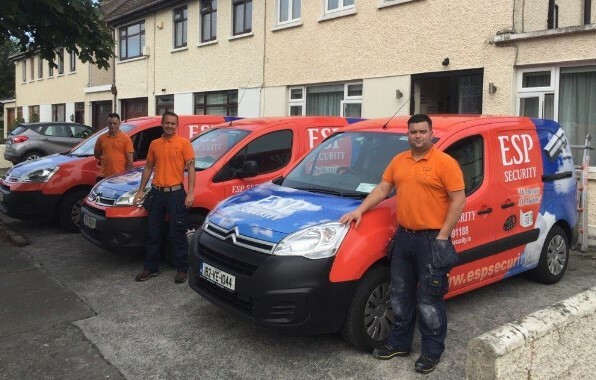 Brian Smith and his ESP Security team can repair your burglar alarm even if they did not install it. If your alarm system has developed a fault, will not stop sounding, has been damaged, has stopped working, you have lost your user code or has developed any other fault – we are able to repair it. Our vans are fully stocked each morning ensuring we can complete the repair work without wasting time with unnecessary return visits. ESP repair / service / adopt / upgrade Intruder and Burglar Alarm Systems such as Aritech, Astec, HKC and many more for domestic & residential, commercial and industrial premises. We repair all alarms in Dublin, Kildare, Meath, Wicklow and Louth areas. No matter the age, make, model or who fitted the system, we will be able to get your alarm system back up and working. We’re unlike many other alarm companies, who will send an engineer to repair the alarm system and then proceed to tell you that the system is beyond repair or obsolete. Their aim is to sell you a complete new system, whereas our staff are fully trained alarm repair engineers, who are able to diagnose and rectify faults with your system. If your system is repairable we are able to repair it. Give us a call and we will send a friendly alarm engineer to repair your alarm system as quickly as possible.